The below article was commissioned by Sinem Dişli to be included in the catalogue accompanying her upcoming exhibition at Han 38, 15–30 November 2011. 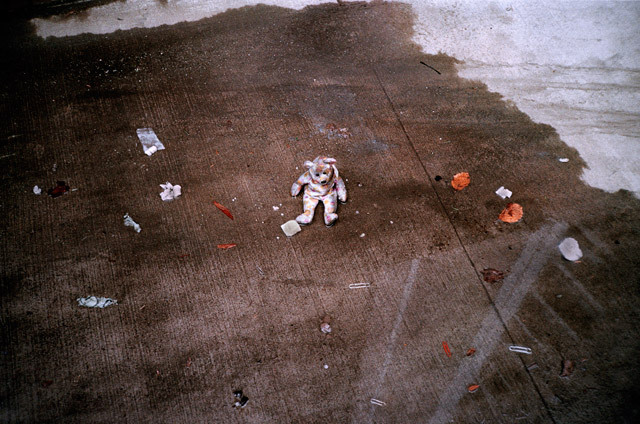 A strewn teddy-bear triggers memories of childhood—melancholia, nostalgia and maybe anxiety for the owner of the toy ensue. A pair of shoes on the street will always prompt curiosity—how did they get home? A piece of meat on the sidewalk is somewhat regular and expected (unfortunately) on urban streets. I have seen all of this many times and made records, yet, through Sinem Dişli’s photographs, I’m estranged from my own urban experience. Her photographs, exhibited for the first time in a pop-up exhibition at Han 38, are founded on the tension between the quotidian—for the urban dwellers among us, universal generic city scenes—and the peculiar ominous that is unexpected yet omnipresent in the images. For the purposes of this essay, I’ll argue that Dişli’s photographs rest on a particular formalism that is both contemporary and familiar and highlight the poetic constructions of her images, as well as the exhibition itself, as this exhibition is somewhat special in its use of an extra-institutional space and elements of installation work. However, before starting with any of that, I need to include a disclaimer about this essay and the writer; I’m not over Dişli’s work yet. I have been exposed to these images, before the edits, for over a month now. I saw them as small prints on a table and was immediately struck by the transparency and the sheer force of the narrative. The sincerity that I felt at that first encounter is reflected in the title of the essay—I felt privileged to have been privy to these images and this feeling of being a confidante persists to this day. And I still peruse through the images with an infantile joy, now mixed with a mischievous savoir-faire, having minutely participated in the artist’s making of this catalogue. In short, the essay you are about to embark on, is tainted by the writer’s deep emotional involvement with this series. Dişli’s aesthetic is clearly hers but is also a motley of photographic styles—the twisted perspectives of Garry Winogrand mixed with Frederick Sommer’s head-on confrontations with the perished, interlaced with the uncanny in Cindy Sherman, topped off with the humorous in Duane Michals and the intimate in Emmet Gowin. 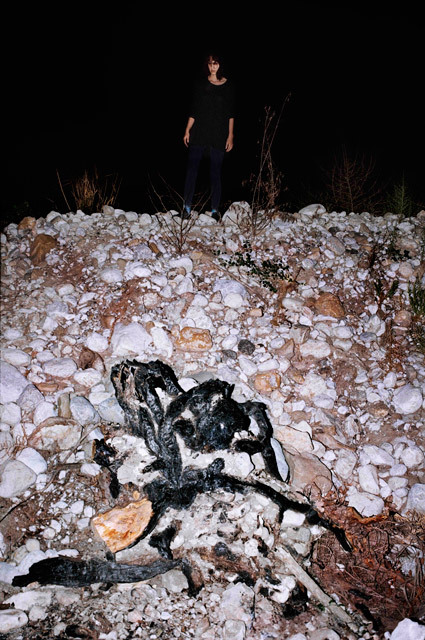 I’m carefully choosing references from the beginnings of contemporary photography and what could be dubbed as the MoMA generation, as I believe the impetus behind Dişli’s work is quite parallel to that early desire to create a personal narrative through a visual language, tightly woven yet somewhat intuitive. There is something quaint about Dişli’s photographs and I’m interested in this anachronism. She employs what is recognizable for the contemporary viewer and slightly twists it to expose our jadedness when looking at images. I know I have seen similar images before, I know the tradition and the aesthetic that Dişli belongs to, but there is still something new and warped that traps me into the images. This idiosyncrasy is derived from the confrontational nature of the images that gives away the artist’s positioning in relation to the subjects; the artist involves the viewer in her process. We know exactly how she took the image, we know almost exactly where she was, what kind of place she lives in and what time of day it was. This is the exact point of engagement—why confront these things, why confront them now and thus? The sequencing of images gives some clues. Dişli has a perennial desire to keep looking—the extent of this obsessive looking creates a tension that goes unresolved. The images in the exhibition do not give away a neat denouement but rather, each image, further complicates the triangular relationship between the viewer, the image and the artist. The viewer attempts to piece together a narrative that does not exist; each image feels like a clue, but it is not. It took me a couple of viewings to shake off the idea of a thread interconnecting all images, as, I believe, our eyes and minds gravitate towards gathering visual information from photographs to create a larger story. The artist never gives away this larger story as the images are connected by something much less cerebral and much more intuitive, subjective and personal. She has taken up a coarse aesthetic that gives viewers a false sense of intimacy, a sense of knowing where and how these images were taken. On the other hand, the peculiarity of the combinations, in addition to the always coarse yet varying aesthetic, make the images hard to grasp. The inability to consume these images once and for all is frustrating, but also extremely gratifying. Dişli’s narrative lies precisely in this lack of consumable images—the effort required enables us to become more intimate with the works and the artist’s thinking, breaking the once-and-for-all relationship with the image. Dişli’s images are alluring, in quite an irrational way. The images are a writer’s nightmare; there are no quickly identifiable technical or compositional merits, the artist interweaves constructedness with found imagery in a seemingly haphazard manner, the visual voice is quite eclectic and there is nothing in the images that we have not seen before. Then, to predictably rely on Barthesian terms, where is the punctum? 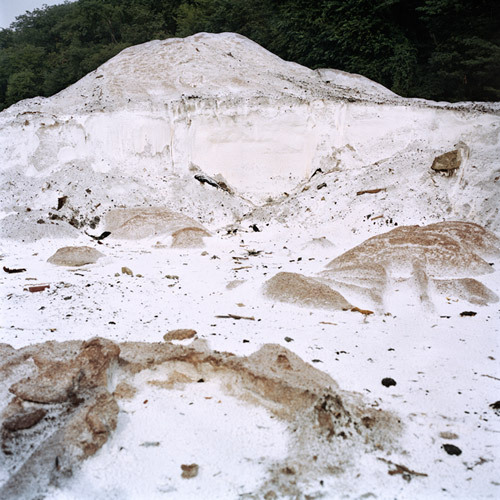 I think—and punctums are by definition subjective, so please bear with me—Dişli’s photographs do not represent a single emotion or state, but rather multiple states and emotions and it is the poetics of this plurality that cause the viewer to waver between different states of mind and the impact is jarring. By this point in our oversaturated image culture, we are quite immune to one-liners, no matter how strong those one-liners may be. Unfortunately, I can look on an image of suffering or conflict or happiness with the same blasé attitude and move on. It is when I don’t know what to make of an image—when humor, sadness, nostalgia, childishness are all intertwined—that I will look for longer and remember what I saw. The poetry of Dişli’s images is such that I will wonder why I keep looking at the images and I will not really know why they work, but they do; the lines of her poems are precise but cannot be memorized. The exhibition itself is starting to play with this idea of interrelationships and precision by using installation to highlight the body of work as a whole; Dişli’s exhibition is starting to function as one work rather than a series or multiple works grouped together. By grouping the vertical images together, the artist makes an unexpected formal decision; it is unseemly to group images as horizontals and verticals in photography exhibitions. However, the sense of humor and “artificiality” of this decision works in favor as the viewer can now cross-reference the images and break the linear narrative. The artist—maybe inadvertently—emphasizes the subtle playfulness at work in each and every one of the images. This is not a regular, “serious,” “didactic” photography exhibition; the viewer is invited to participate and enjoy the process of being confused, somehow manipulated and touched. Dişli reminds the viewers that it is totally acceptable to poke fun at the systems and traditions of looking. She does not “break” the rules, but rather stretches her limits in such a way that the viewers can see her artistic expression expand from image-making into exhibition-making. Han 38 plays into this expansion, as the non-instutitional space, that started spreading its wings by opening up a pop-up exhibition with RecCollective, Bandrolsuz and Genis Aci Proje Ofisi, coinciding with the Istanbul Biennial. Working with such a space allowed Dişli to curate and dictate her own work, which is daunting yet liberating for an emerging artist. 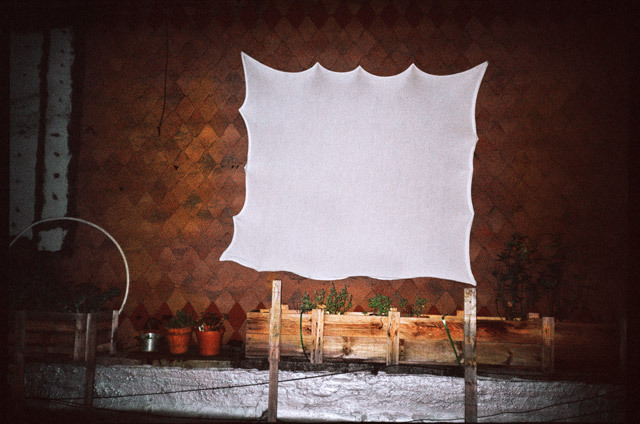 The seams of the making are visible and it is precisely the transparency of this spontaneous relationship with the limitations of working with a non-institutional space that retains the dynamicism, naivete and looseness of the images. To bring this essay full circle, it would be appropriate end on a note of congeniality and hospitality, as I feel that Dişli has allowed me to be a part of quite personal and subjective experience. I’m going to stretch a metaphor. Most of us, as kids, maybe still, have gone through other people’s belongings to make sense of the person, a parent, a sibling, an aging grandparent. The guilty pleasure, mixed with curiosity, intimacy and insatiableness of those moments are not so different from what I was thinking about while participating in Dişli’s work. Time and space collapse, everything becomes internalized and this is precisely how I’m voluntarily trapped in a space, quite willingly. Posted in content, on artists and tagged Han 38, Imprint, Merve Ünsal, Sinem Dişli, Yours Sincerely. Bookmark the permalink.